If you have ever had a conversation with me and Anthony Bourdain is mentioned within it, you inevitably know I once saw him at a Phoenix airport. 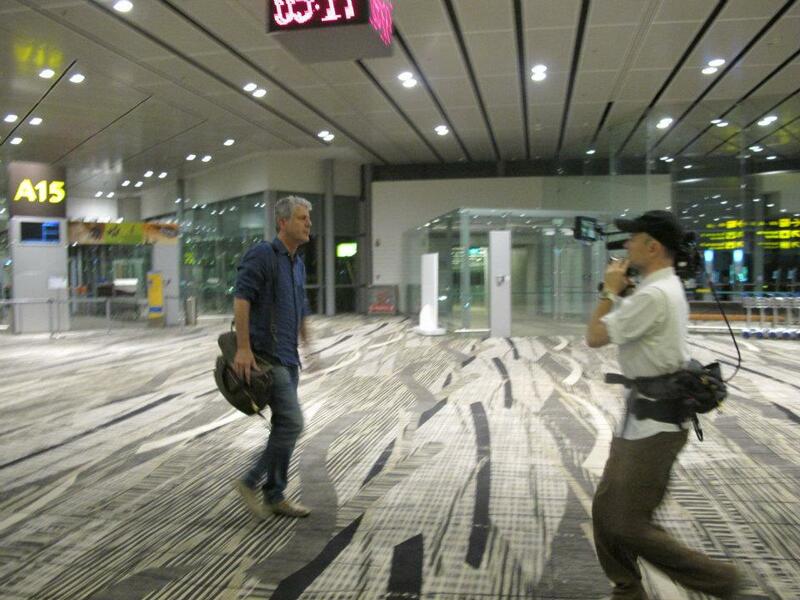 As my story goes, I glanced up while seated waiting for my flight and saw Bourdain walking down the terminal walkway alone. I almost immediately knew it was him and suspect he could detect that in my eyes as we exchanged glances. He gave me the short “I know you know who I am and thank you for leaving me alone” sort of glance and he continued on his way. It is this reason I chose the photo above as I will forever remember Bourdain as someone always moving forward but seemingly wanting to be left alone. I respected Bourdain because very few people in life have the ability to courageously speak their mind while remaining open-minded. Most of society is enamored with the unfiltered “what will they say next” personality until they say something over the line. Bourdain seemed to always understand that line and gave us just the right dose of reality when unpacking lessons learned during his world travels. Christina spent some time in Nicaragua and I love hearing her stories. One of the stories she told me is what she saw during her weekly travels to La Chureca where she saw some unmentionable things even Bourdain couldn’t show on television. During the segment, Bourdain seems understandably troubled by what he was seeing as well. Bourdain will be missed by many and especially me.